Question: What is the True Advantage Of IT Services in San Jose? What is the True Advantage Of IT Services in San Jose? Professional IT services technicians keep their appointments, show up prepared to get the job done, are respectful of your employees, and look for ways to enhance the efficiency of your internal processes. So, let’s break it down and get you – the owners of small to mid-size businesses, tech startups, financial services companies, dentistry and oral surgery offices, and medical firms – some answers about how IT services will help your business operate and grow. There are six areas in which your business can see the true advantage that IT services bring to a San Jose company. True Advantage #1 – Professionals on YOUR side. Company leaders need more out of their outsourced IT support than computer repair and maintenance. San Jose businesses like yours are looking for IT partners, not computer-fix-it people. Because having an IT professional on your side to guide you through the technical process of purchase, implementation, configuration, maintenance, management, and operational monitoring is essential to the health of your workflow. There are dozens – maybe hundreds – of people calling themselves computer technicians in the San Jose area. So what makes Veltec Networks different than any other local IT company you find on the internet? We understand that professionalism is the true advantage that we bring to IT services. True Advantage #2 – Technology consulting that saves you money. Everyone wants to save money. But the IT consultant that’s worth his/her salt will be honest and tell you that spending a little more now in equipment, regular maintenance, and monitoring will save your business money in the long run and even enable you to be more profitable. A competent IT consultant will be able to stand in as your Chief Information Officer if needed and provide the high-level IT advice required for technology-impacted decisions. In truth, nearly every decision you make in business today is impacted by what your technology can or cannot currently accommodate. Having the technology-related information about relocations, expansions, product launches, remote employees, satellite offices, etc. at the outset will help your executive make better choices. True Advantage #3 – Security implementation, management, and protocols that keep you safe. The fact that San Jose isn’t one of the biggest cities in the world doesn’t make the businesses of our city safe from hackers, malware, adware, spyware, and ransomware. Cybercriminal syndicates don’t care where your business is located. They want to steal your money, do damage, and sell your client’s confidential information on the dark web. The savvy business leaders here in San Jose know that the true advantage of IT services is that they keep your business and your employees safe. There may have been a time when cybersecurity could have been ignored or left to an antivirus program you picked up at the local big box store. Today’s interconnected world requires business leaders to be proactive and to partner with IT security professionals that know how to leverage security as a base for productivity. True Advantage #4 – Consulting and management of industry standards and legislative compliance mandates. 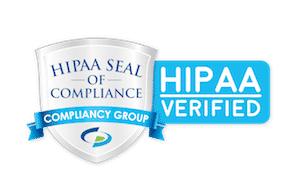 A professional IT consultant that’s on your side and understands how to keep your company’s IT in line with these industry and governmental mandates saves you from worry and keeps your business from facing non-compliance related penalties. True Advantage #5 – Business savvy that harnesses the power of technology. Maybe the biggest advantage of working with a team of IT service professionals is that these individuals give you insight into how technology can be used to improve your existing workflows through automation and integration. The Veltec Networks team members are not simply “computer geeks” that make sure computers, smartphones, tablets, cloud apps, and networks work correctly. Because you want – and expect – more from your managed IT services team. You don’t have time to stay on top of the latest in business technology. You don’t want to be buried with information about how your industry is using this application or that device. Instead, you want some leadership from your professional IT consultant. You want us to bring ideas and innovation to the table that helps you meet today’s objectives and plan for tomorrow’s BIG IDEA goals. You are looking for an outsourced IT support team that cares enough about your business and our partnership to combine IT smarts with business savvy that makes a significant difference for you and your employees. True Advantage #6 – IT services geared to keeping you secure, productive, and profitable. Want to read even more about the true advantage of IT services in San Jose? We have more informative articles for you HERE.